While billionaire status may be somewhat beyond reach for most of us, the idea of building wealth is a desire for many. Building wealth takes time and effort. Unfortunately, that seems too much like hard work for many Australians, who prefer the idea of getting rich quick. Just look at the reaction to August’s record $100 million Powerball jackpot. Despite the odds of winning first prize being one in 134 million, newsagents across the nation allegedly had queues out the door filled with Aussies longing to win. It seems Australians love the idea of dreaming about being rich, of thinking, ‘why not me?’ Indeed, about half of all Australians adults have taken part in an official lottery in the past year, while about a third play at least monthly (1), despite the minuscule odds of winning first prize. But how about increasing their chances of actually becoming rich with no lottery numbers required? According to the Investment Trends 2017 Financial Advice Report, just 3 million Australians intend to turn to a financial planner for advice in the next two years. While this figure is up from 2.6 million in 2016 – and double the number observed in 2013 – it seems there are far fewer Aussies willing to put time and effort into their future riches by seeking out financial advice, than those who throw money at the lottery system. 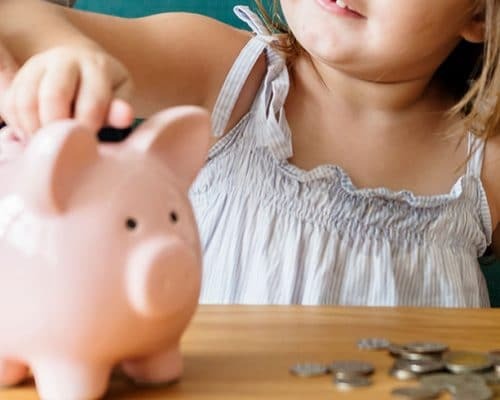 While it may not offer the instant riches of a lottery win, investing money in ways that suit your risk profile may assist you to reach your financial goals over time. How do Australians become rich? Australians build wealth by thinking outside of the box in terms of ways to increase their income and build equity. Leverage can play a big part, as can luck however, seeking financial advice and structuring their assets correctly also play a large role in their success. 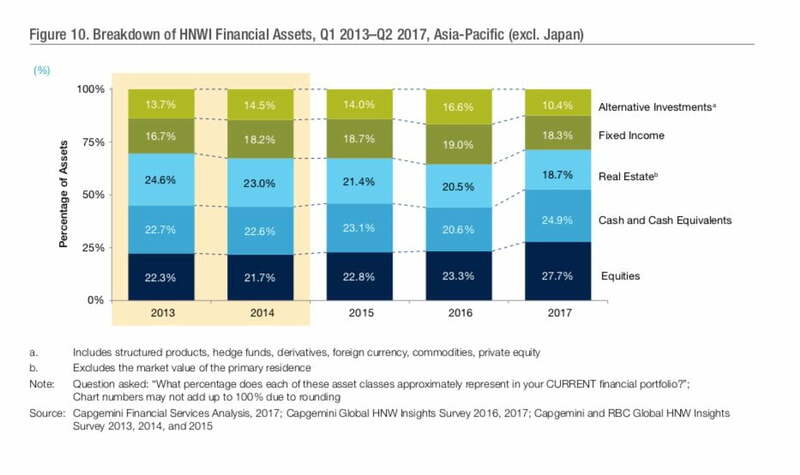 Curious to know how high net wealth individual’s (HNWI) throughout the Asia-Pacific allocate their assets to successfully build their wealth or in other words, get rich? The Capgemini Asia-Pacific Wealth Report released in November 2017 provides us with breakdown of just how some of our most wealthy allocate their assets. However, it’s important to keep in mind that the recipe for success is not the same for each investor highlighting why consulting a financial adviser, to ensure your investment decisions are right for your circumstances, goals and appetite for risk, is essential for your investment strategy and life plan.